Instant Pot Chicken Soup Recipe – Ready in Minutes! 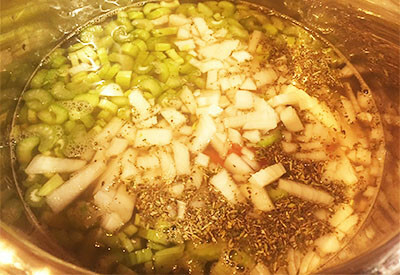 Love the taste of homemade chicken soup but don’t want to wait hours for it to be ready? What if we told you that you could make it in under 30 minutes and make it taste like it cooked all day? 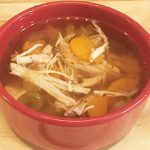 Instant Pot Chicken Soup – slow cooked taste in under 30 minutes! We have your answer! Make heart warming and healthy Instant Pot Chicken Soup and it will be on your table in no time! Ever since we posted about how much we love the Instant Pot, we receive requests daily to post more recipes using the ‘must-have’ appliance of year. 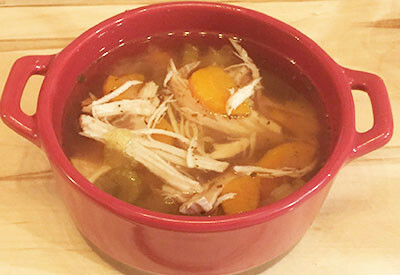 Our absolute favorite and easiest recipe that we make is Homemade Chicken Soup. Not only is it healthy for you, it requires just a few common ingredients that is found in most kitchens. It is the perfect soup to warm your body and it will make you feel better when you have a cold. You can even add in a few hot pepper flakes or jalapeno peppers to make it clear out your sinuses. And don’t worry, with this Instant Pot Chicken Soup recipe you won’t even miss the noodles found in traditional chicken and noodle soup! However, if you want to add them in, you could do so by placing the Instant Pot on the saute mode after you remove your chicken to shred. Boil noodles for approximately 6-8 minutes or until tender. Hint – you can also make your own homemade broth by adding chicken bones, vegetables, salt, pepper and a bay leaf to you Instant Pot. 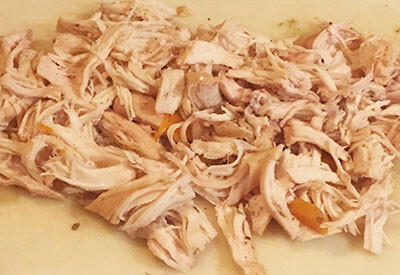 After the timer goes off, remove chicken and shred. 2. Add carrots, celery onion, salt, Italian seasoning and broth. 3. Close and lock the lid. Cook on manual on high pressure for 20 minutes. 4. Once the time is up, slowly quick release the pressure. 5. Carefully remove the chicken breasts to a cutting board and shred with a fork. Return meat to the Instant Pot. A delicious and healthy alternative to chicken noodle soup. Chicken and vegetables served in a warm broth to warm your soul. Tastes like it has slow cooked all day, but ready to eat in less than 30 minutes! Add carrots, celery onion, salt, Italian seasoning and broth. Close and lock the lid. Press Manual for High pressure for 20 minutes. Once the time is up, quick release the pressure. Carefully remove the chicken breasts to a cutting board and shred with a fork. Return meat to the Instant Pot.